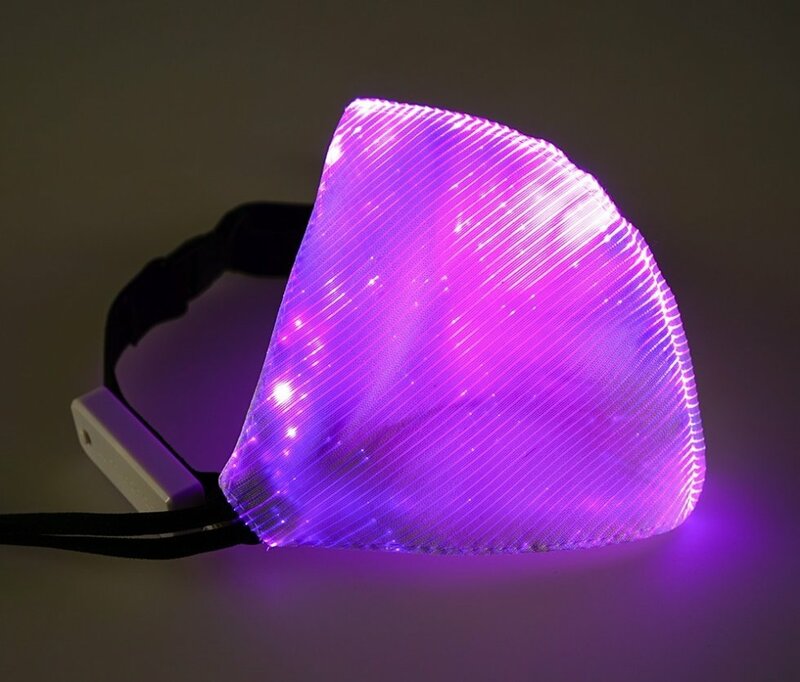 Rave DNB face mask - LED multi-colored, with which you will certainly get attention of people at night party. 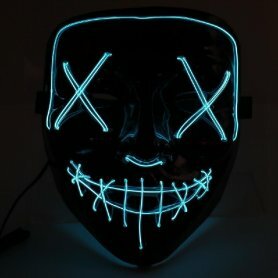 Choose your color and go to a party! 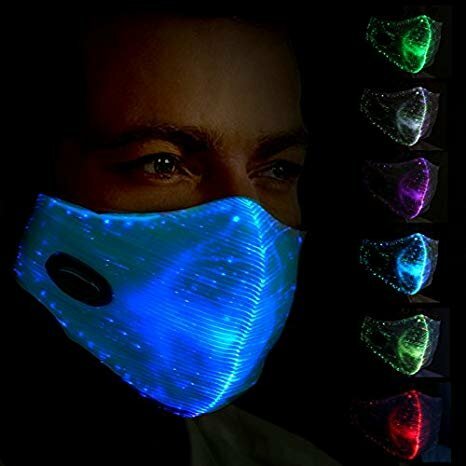 Rave DNB face mask - LED multi-colored, with which you will certainly get attention of people at night party. 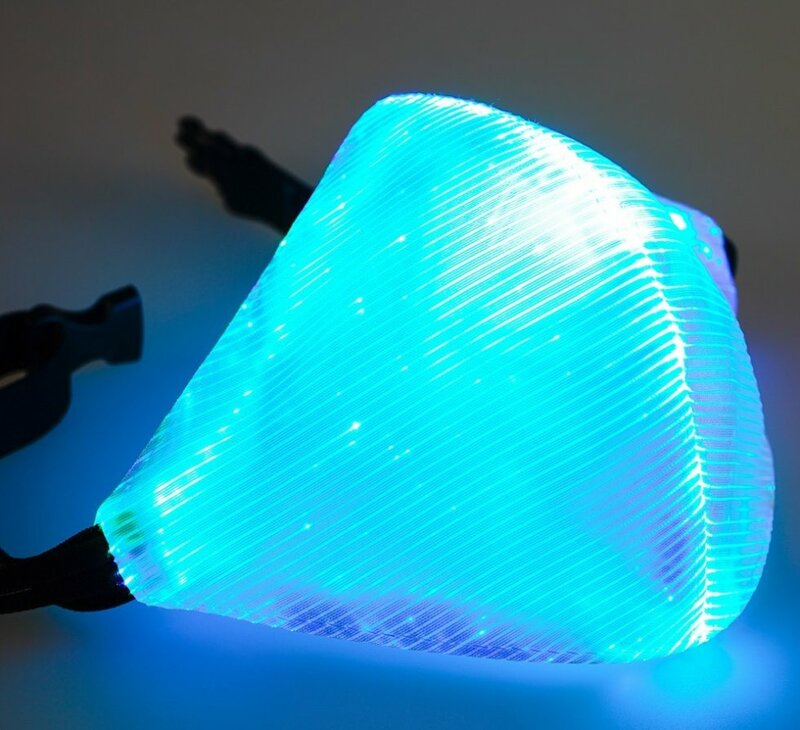 Choose your color and go to a party! 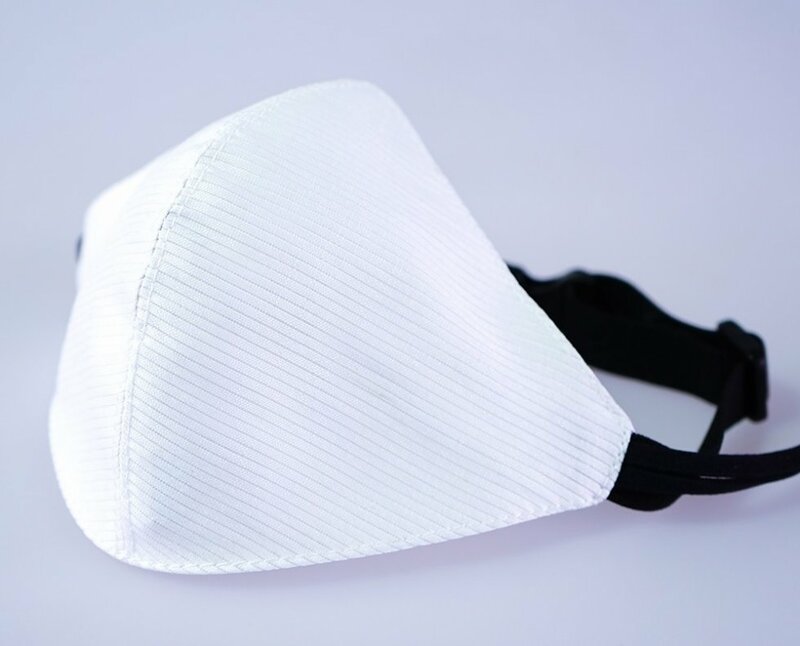 The mask is made of very pleasant material, which does not bother you when wearing it on the face and breathing through the mask. 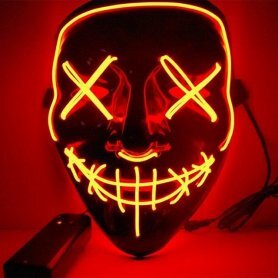 Therefore, nothing will stop you from having a mask put on for several hours during the party. 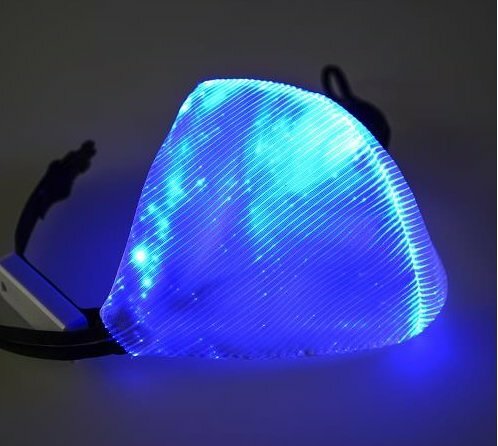 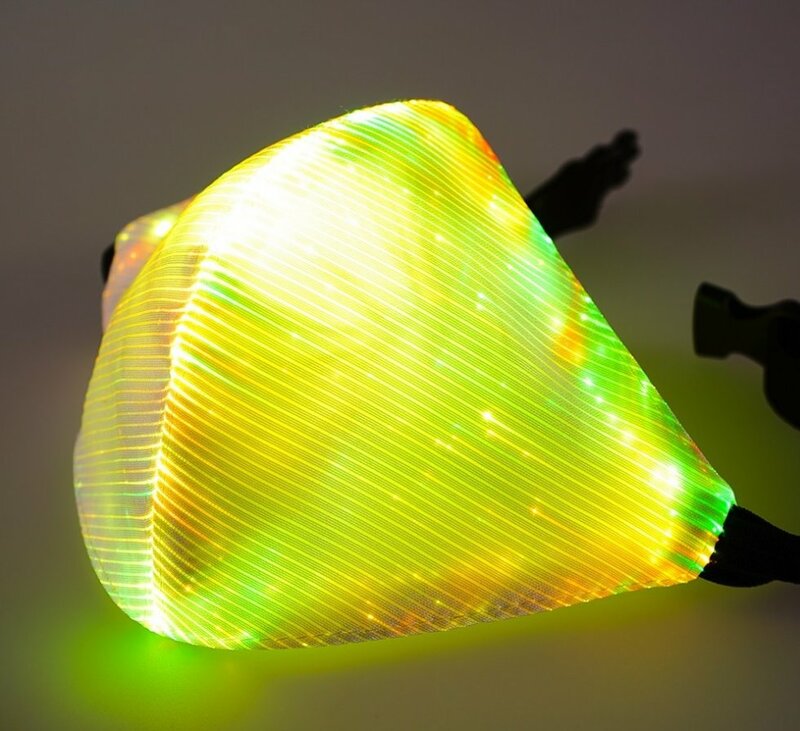 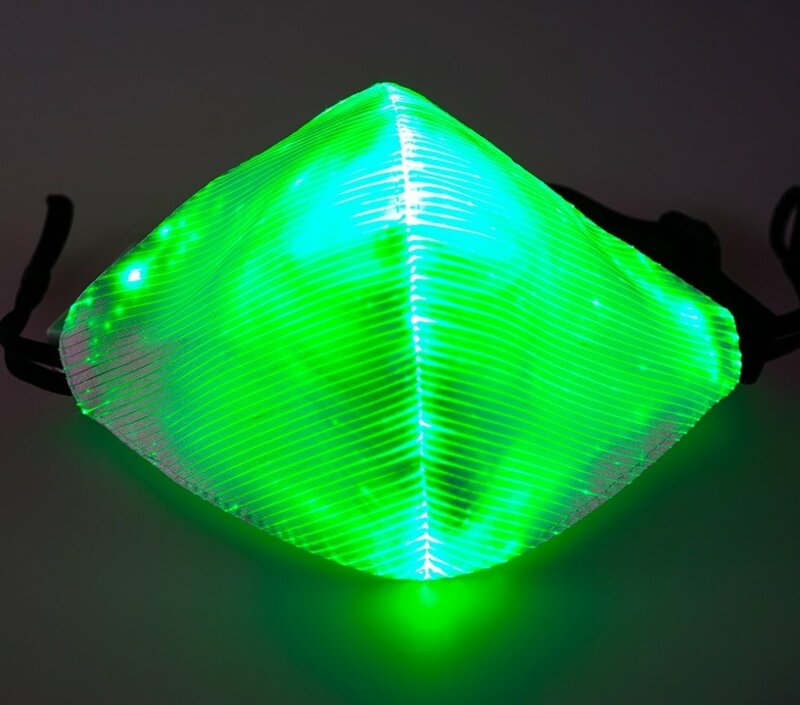 The mask has integrated the LED optics fibers that offers up to 7 color shades. 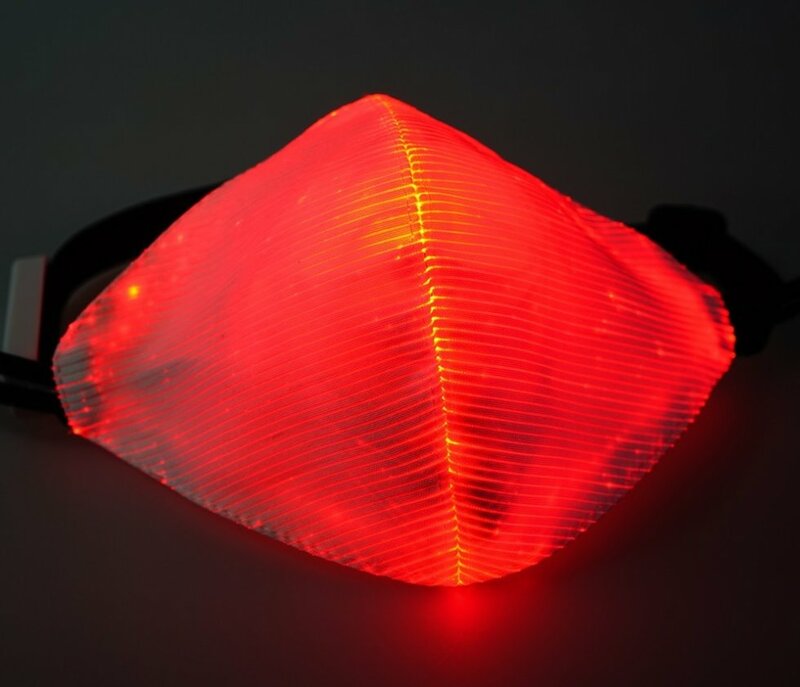 The adjustable strap has module with button, that lets you select one of seven colors or light modes such as a stroboscope or color blending. 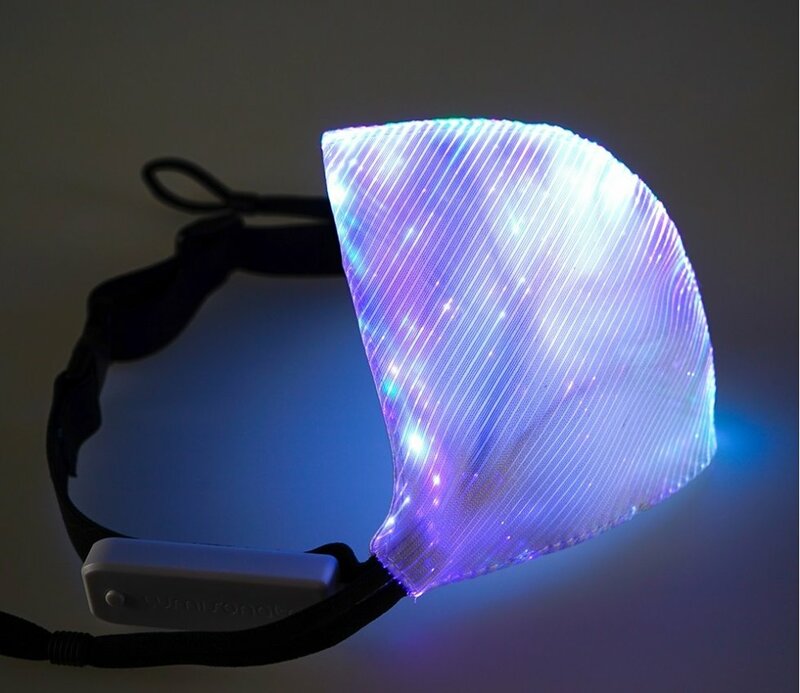 The big advantage of the mask is an integrated 400 mAh battery that can be recharged using a USB cable and provides full power for up to 12 hours of light (depending on the color of the light). 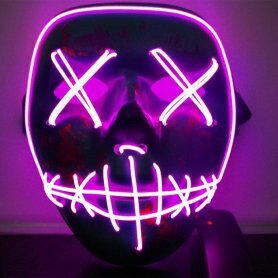 You can use the mask on various occasions throughout the year like a party, festival, disco, halloween, and so on. 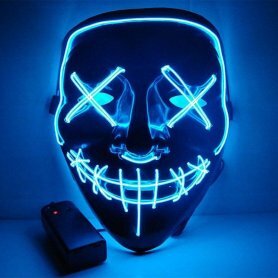 Be different, be cool and get interest with this mask at each event.